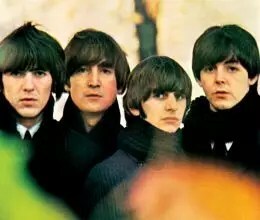 The Beatles’ ‘A Hard Day’s Night’ is their third studio album featuring songs from their eponymous film and released on July 10, 1964 by Parlophone. Recorded 29 January – 2 June 1964[ At Emi Studios, London, Pathé Marconi Studios, Paris. Released On July 10, 1964 By Parlophone.